The best thing I ever heard about Bushnell is “you can find a Nail in the Bush with it.” Therefore, you can guess about the precision of Bushnell excel golf GPS watch. When you have it, you have everything necessary in the green. No matter where you play, you will have an idea about the course. All the features will be in your wrist. It is just a matter of seconds to glance at those. Knowing the course is essential for any level golfer for a winning per. The Bushnell watch will provide both the motivation and information for your winning shot. I know you are about to look for this excellent golf watch. However, let us take a look at those features that makes this golf watch impressive. Why is Bushnell Golf 2017 Excel GPS so unique? When you have the Bushnell Excel Golf GPS watch, it is easy to get the distances around the course. You do need to synchronize this smartwatch with a computer because it comes with Bluetooth. Now you can get the course update from any Bluetooth device. Moreover, you can also receive the call, messaging and calendar notifications on your watch. The battery will support up to 3-rounds of play before charging. You can play in any ambient condition because of the full front optical mounted color LCD. The display comes with auto brightness adjustment. LCD Display with Backlight makes the measuring and navigation simple. The Bushnell Golf 2017 Excel has an easy-to-use interface with "Distance at a Glance" technology. If you want a quick view of distance information, this Pro Golf GPS from Bushnell is made for you. It will give you a complete layout of the green. You can see distances to the front, center, and back of the course. You can also see 4-hazards for every hole. The golf watch can store thousands of golf courses in it. It comes with preloaded 35,000+ courses and gives you ample storage to record winning per. The Bushnell Excel watch includes a shot distance calculator. It measures shot distance between two user-selected points. The watch also comes with a resettable game timer. A rechargeable Li-Ion battery powers the watch. You can recharge the watch with a USB cord. It shuts itself off after 30 minutes of inactivity. The smart device comes with a belt clip and storage pouch. Along with the high quality of Bushnell, you will get a one-year limited warranty. Did I mention the price tag is super affordable? You can still have some questions despite knowing about all the features. We have come with a few common questions that our customers ask frequently. It will be easier for you to get this best golf GPS after knowing the answers. How do you update Bushnell Golf GPS? It is easy to update your Bushnell excel GPS rangefinder watch. You can connect the device with other devices through Bluetooth. Then you have to open an account with Bushnell. The account will give you access to the courses update. Moreover, you can update the features of the watch and apps. Each update will enhance your experiences with this best golf GPS watch. However, make sure you do the update regularly. Or else, you can miss the latest additions in your courses as well as your Bushnell golf app. What features does the Bushnell Golf App have? The apps come free with the Excel series. It shows a colorful aerial view of the course. The view comes with hole layouts and distances. 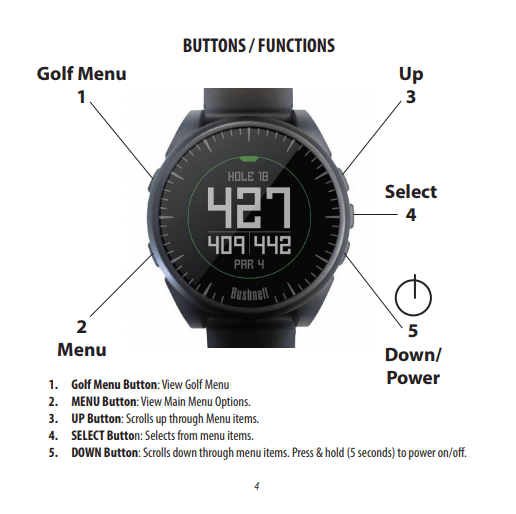 The app has a built-in Scorekeeping and Book tee time features. You can analyze your club swing with the analysis stats. Moreover, you can record and see your activities. The Pedometer and Fitness features will track all your movements. The 3D flyover will give you a holistic view of the course. You can see both distances and features in the courses. How can you recharge your Bushnell Golf GPS? Bushnell Excel golf GPS watch reviews already told you about its long battery life. However, you have to recharge the watch at least after 3-rounds. This golf GPS watch has a USB charger. You can connect the device to any plug-in point for charging. Moreover, you can recharge the watch connecting with a personal computer. Charging time of this Bushnell GPS is quick. Therefore, you can get a fully functional watch a few hours before your game. Where can I get the Bushnell GPS watch? The best place to get this watch is in online. You can log in to any leading shopping site and order. However, you will get the most authentic Bushnell excel golf watch review on the Bushnell website. Moreover, you will get Bushnell excel GPS watch manual in PDF form on that web. The manual will help you to operate and maintain the GPS watch correctly. What do you think after reading the Bushnell Excel GPS watch review? I know you will hit the checkout button right now. Our customers also told us the same. They did not go for another GPS watch after our reviews. This Bushnell golf watch is a combination of state of the art features and easy-to-use interface. In any golf course of the world, it will work as your winning charm. Moreover, it will add a style statement in your personality. Long battery life and free course updates will always make this watch ready to go. 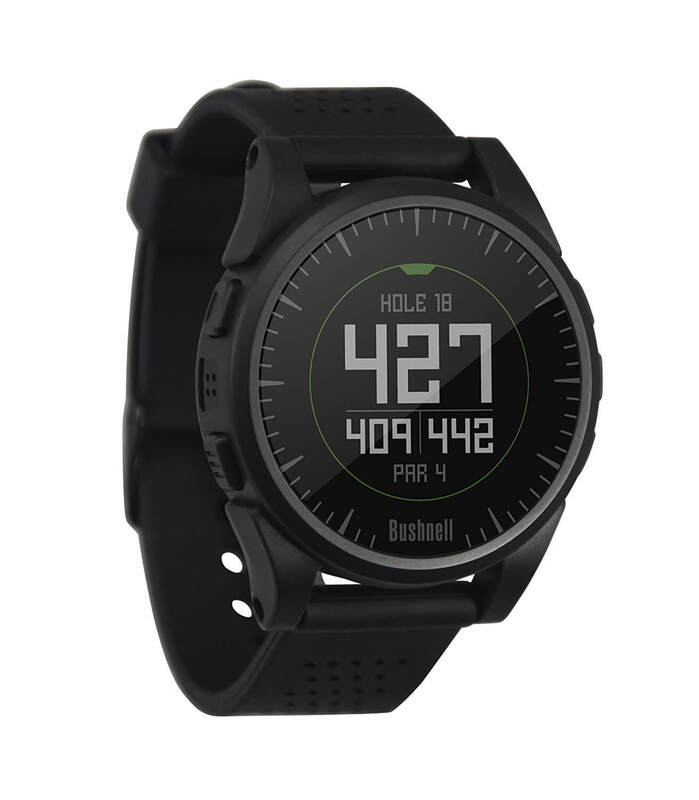 Its price tag makes it an affordable GPS watch for any golfers. However, if you are a newbie, it will be the best pick.